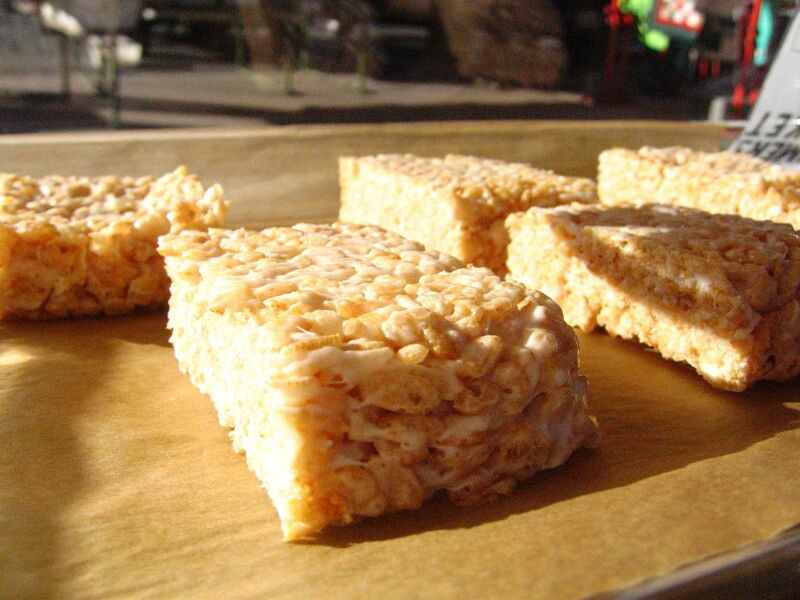 I am sure most of us fondly remember Rice Krispies Treats from pre-vegan days. When I was a teenager, my cousin and I would regularly make a big pan of the gooey goodies and scarf down the whole thing, long before it had cooled. Now my diet and my tastes are totally different, but it is still a lot of fun to make and share veganized crispy rice treats with others. They are quick and easy to prepare … which is handy when you do not want to wait 12-15 minutes for cookies to finish baking or to bother icing cupcakes. Add rice cereal and stir until combined. Transfer mixture to the pan and press down to make an even surface. Place on a cooling rack and allow to cool completely before cutting and serving.